A Russian Progress supply ship packed with 3.1 tons of cargo and propellant to refuel the International Space Station is set for liftoff Tuesday from the Baikonur Cosmodrome in Kazakhstan. 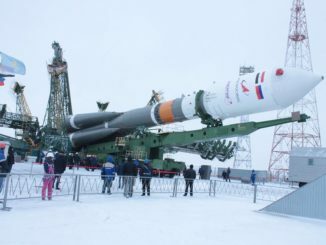 The Progress M-26M cargo craft will blast off at 6:00:17 a.m. EST (1100:17 GMT) Tuesday atop a Soyuz rocket, which rolled out to Launch Complex No. 1 at the Central Asia space base on rail tracks Sunday amid frozen fog and temperatures near 18 degrees Fahrenheit. 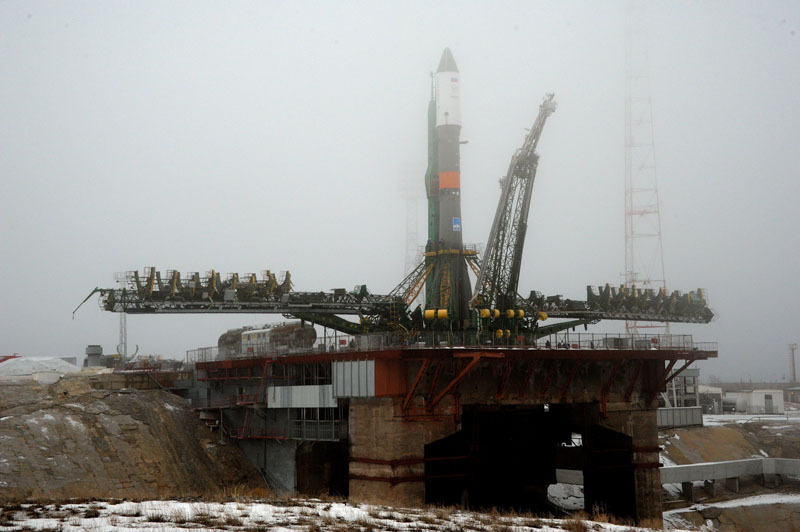 Launch is set for 5 p.m. local time at the Baikonur Cosmodrome. The three-stage Soyuz-U rocket will boost the Progress spacecraft into orbit less than nine minutes after liftoff. The kerosene-fueled launcher will dispatch the Russian freighter on a four-orbit chase of the space station, culminating with an automated radar-guided docking to the aft port of the Zvezda service module at 11:58 a.m. EST (1658 GMT). The arrival of the Progress M-26M spacecraft will come three days after the same aft docking port was vacated with the departure of Europe’s final Automated Transfer Vehicle resupply craft. The launch marks the 58th flight of a Russian Progress supply ship to the International Space Station since 2000. The flight is designated Progress 58P in the station’s manifest of assembly and resupply missions. 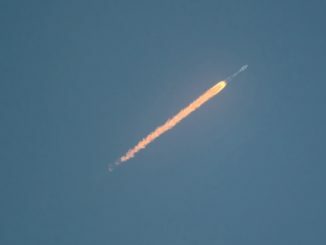 The Progress M-26M spacecraft’s cargo load includes 6,309 pounds of supplies and fuel, according to a manifest posted on a Russian space agency website. The ship’s forward pressurized section carries 3,229 pounds of provisions and equipment, including 813 pounds of food, 577 pounds of sanitary items and 471 pounds of crew medical supplies. 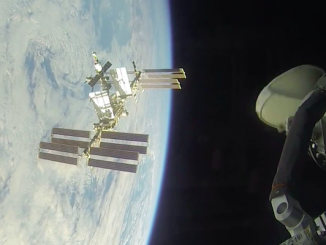 The internal cargo also includes hardware for the space station’s electrical and thermal control systems, clothes, cameras, watches, smoke detectors and science experiments. The Progress M-26M mission will also deliver 306 pounds of U.S. cargo for the space station crew. The Russian supply ship will pump 939 pounds of propellant into the Zvezda service module’s propulsion system for use in future reboost maneuvers and emergency burns to steer clear of space junk. Another allotment of propellant is set aside for the Progress to perform its own orbit adjustments when docked to the space station. The space station will also receive about 925 pounds of fresh water carried aboard the Progress M-26M spacecraft.